American Homes 4 Rent bought dozens of homes in the Steele Park neighborhood in Beaverton using bonds backed by single-family homes like this one. Calling all attorneys, money people, real estate types and other financially savvy sorts. We’re going to crowdsource this one. Probably you’ve heard the news: On Nov. 3, 11 Oregon counties filed suit against the Mortgage Electronic Registration Systems. Commonly called MERS, it’s the private registration system that once allowed banks to bundle mortgages into securities for quick buying and selling during the heyday of the pre-2008 real estate bubble. It’s at the county level where the transparency question arises, much like in the case of MERS. Following the bubble’s pop, and in the midst of the Great Recession, the lawsuit alleges MERS activities were a key factor in why so many consumers couldn’t sort out who owned their mortgage. It was a transparency problem of the highest order: MERS skipped out on paying filing fees with the counties. “… By listing MERS as the owner of numerous real estate loans, lenders were able to package and transfer high-risk mortgages through the system multiple times without paying the appropriate county recording fees for doing so,” the Herald and News reports. In the lawsuit, the counties allege that such activities made it tough for consumers to get a grip on their mortgage owners, since transfers of their mortgages weren’t recorded locally. Counties say they also were on the short end, losing filing fees to the tune of $50 million, according to the suit. MERS settled a similar matter for $9 million with Multnomah County earlier this year. But at least there’s something people seem to agree on: that MERS had a handle on all these mortgage transfers, even when local officials didn’t. And knowing this has caused me to wonder whether there’s a gap in the reach of MERS, the counties and other financial institutions as Wall Street landlords rise up and become the owners of properties throughout the nation. It’s the question I put to you all today. Because in reporting on Wall Street landlords last year, what we discovered at InvestigateWest was that properties were being similarly bundled as collateral for public stock offerings. The background of this gets heady, and I’ll break it down in a minute, but the headline here is that I have wondered since, and continue to wonder, whether the way in which these properties are bundled represents a transparency issue that could be putting Monopoly money into the economy. Since I know we have a lot of attorneys and financially savvy folks on this listserv, I’m going to put it out there to see if anyone can help us solve this riddle. Wall Street investment is normal in apartment buildings – investors own gobs of apartment buildings in major cities through rental-backed securities. But bond sales backed by rents on single-family homes are a relatively new and mostly unregulated financial tool. They were invented by The Blackstone Group, the global capital investment firm, after the company spied an opportunity during the Great Recession back in 2012. At the time, Blackstone had purchased tens of thousands of distressed homes and used those homes as collateral to back bond sales to Wall Street stockholders. In translation, the company’s model became this: buy homes, bundle those homes together, sell giant bonds against the collective value of those homes, then use the revenue from the bond sales to buy more homes. The idea was to eventually pay dividends to stockholders after the company profited off of the rents and fees associated with the homes. The Blackstone strategy quickly inspired copycats nationwide, all of which employ that same financial method of bundling homes and raising funds against them by selling bonds to stockholders. Such Wall Street landlords now have a significant presence in the American rental market. Just over a year ago, InvestigateWest started tracking how this trend had hit Oregon and, more specifically, the Portland region, where a company called American Homes 4 Rent was buying up housing. 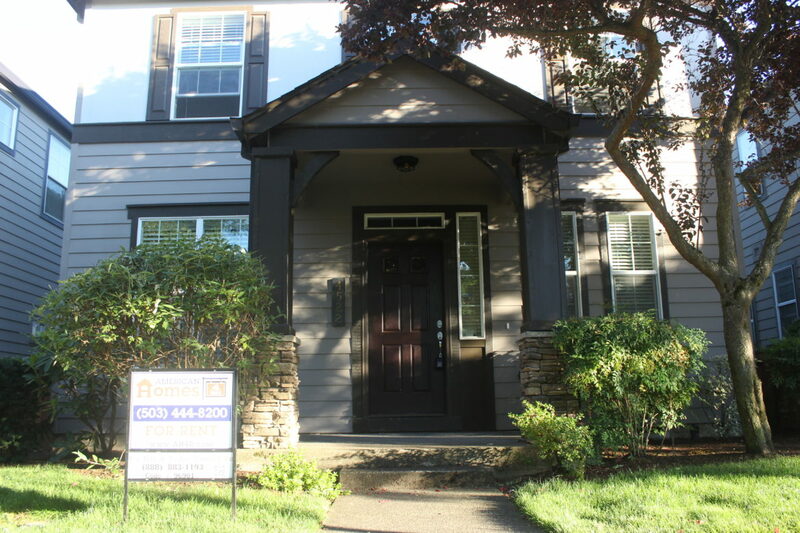 American Homes 4 Rent is the most active Wall Street landlord in the Oregon marketplace. Some of the company’s activities were tough to see, however. American Homes 4 Rent was purchasing properties through more than 85 subsidiaries last year. Still, we found more than 200 homes owned by the company in Multnomah County. And though it’s impossible to say – without searching county by county – how many there are, we know there are likely more. American Homes 4 Rent reported owning 48,038 single-family properties in 22 states nationally as of June 30, 2016. To bring it down to basics: Oregon’s counties record property transactions. If I own a house and I sell it to my friend Joe, Joe and I and our respective banks file paperwork with the county letting them know we’ve made a sale. Such paperwork makes Joe newly responsible for the taxes on the property. And it makes clear to the county who owns the mortgage on the property that’s now in Joe’s name, assuming Joe is unable to pay cash. It’s this paperwork – the paperwork from Joe’s bank – that Oregon counties now charge was obscured by MERS during the lead up to the Great Recession, while MERS may have failed to file complete paperwork. Now, I wonder whether Wall Street-owned homes are in a similar position. That’s because, as American Homes 4 Rent buys properties in Oregon, that new ownership information is recorded at the county level. But in order to see these properties bundled and moving into the hands of Wall Street stockholders, you have to look deeper, at the security agreements for the properties and at paperwork on the bond. The security agreements are much like the ones that Joe’s bank would file. I found this one, for example, by searching the county for Goldman Sachs, which I knew was working with American Homes 4 Rent to put together bond sales on local homes. If you look at page two, you can see these homes were part of a group of 4,487 houses that backed a $513 million loan. The addresses of those in Multnomah County are listed on page 30. One of the major criticisms of bonds backed by single-family homes, however, is that the paperwork on the bonds themselves is not this detailed. Very often you can’t see, as you can in the paperwork filed by Goldman Sachs in Multnomah County, which homes are used as collateral for the bonds that stockholders are asked to purchase. For example, here’s the paperwork that was filed with the U.S. Securities and Exchange Commission on that $513 million loan. Though it mentions that 4,487 homes were used as collateral for the bond, it doesn’t – nor do its accompanying exhibits – identify the homes. So my question is: Who is keeping all of this honest? In cases where securities are being issued backed by single-family homes, and there is no record of which homes are being used as collateral, what prevents these homes from being used as collateral in more than one deal? In other words, what prevents these homes from being borrowed against twice? Maybe there’s a good answer to that question. But I sure don’t know it. And if it isn’t systems like MERS, which until these lawsuits seemed like the best answer, then I don’t know what it is, and I’m not sure anyone else does. Attorneys, money people, real estate types and other financially savvy sorts? I’m looking at you. Does anyone know the answer to this question? Or in the era in which MERS may not be a safeguard on these kinds of transfers, are we in bubble territory on bonds backed by single-family homes? Winning isn’t everything. But sometimes it’s nice.